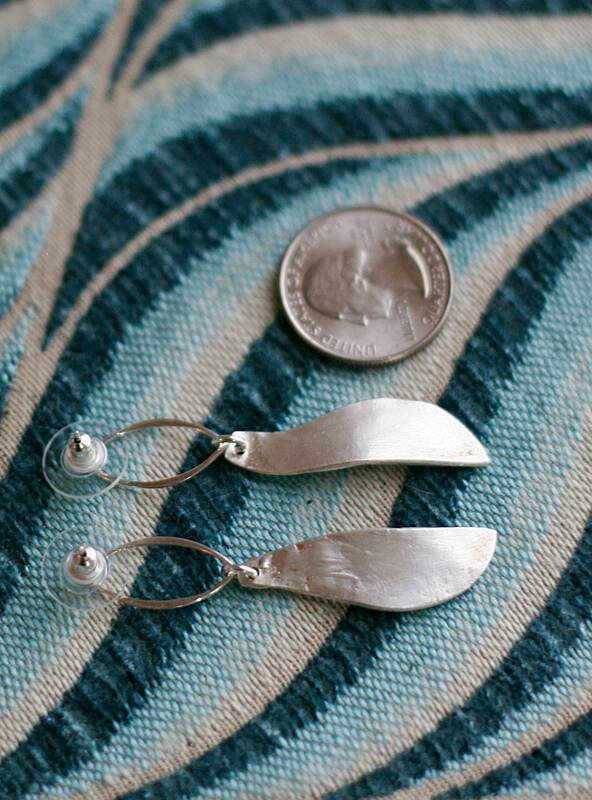 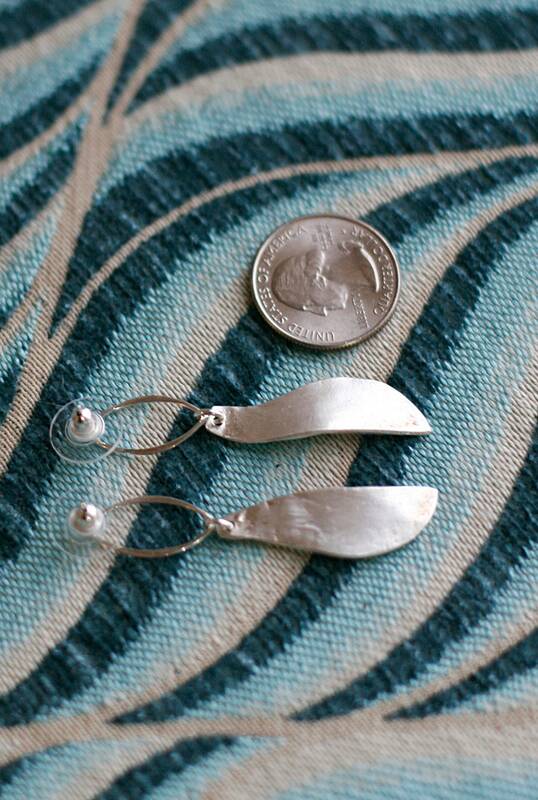 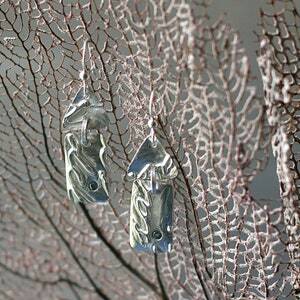 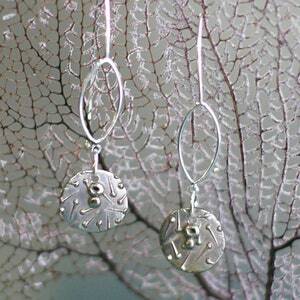 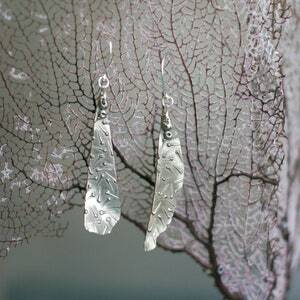 Fine silver (.999) has a delicate white shine like nothing else! 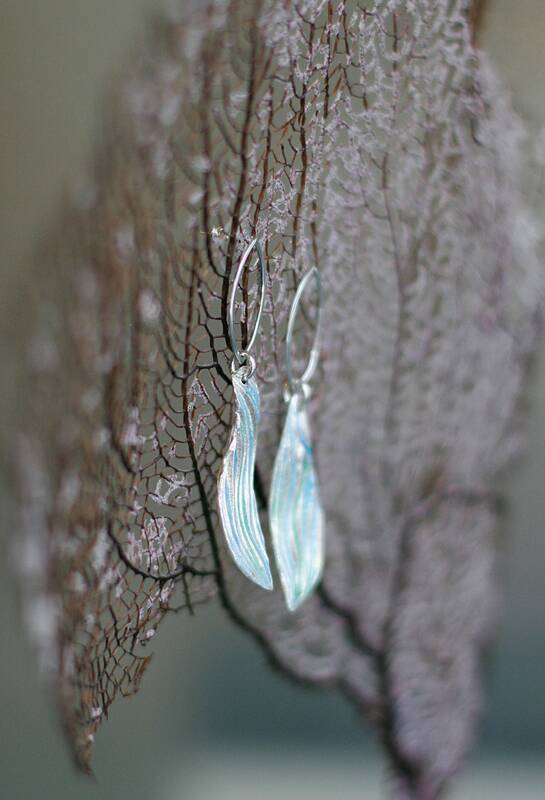 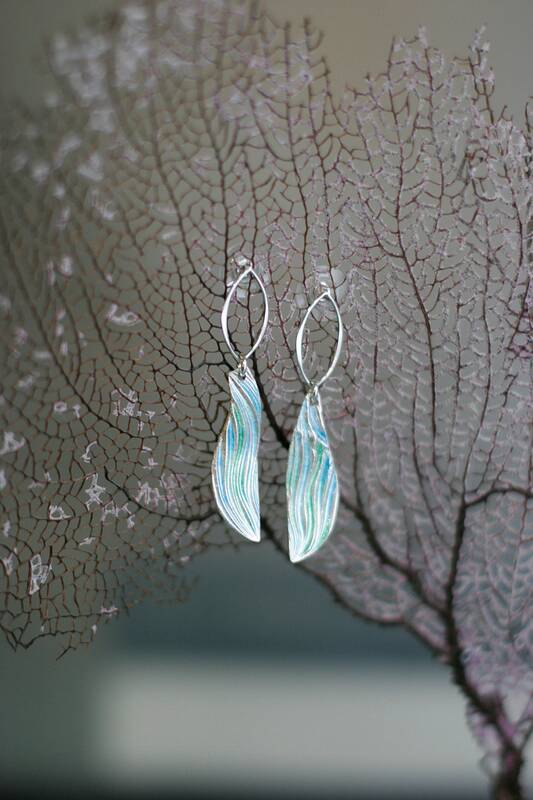 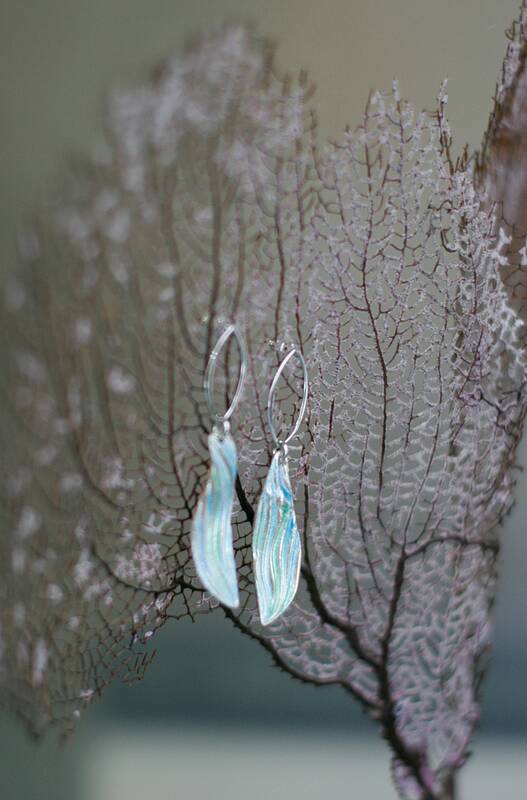 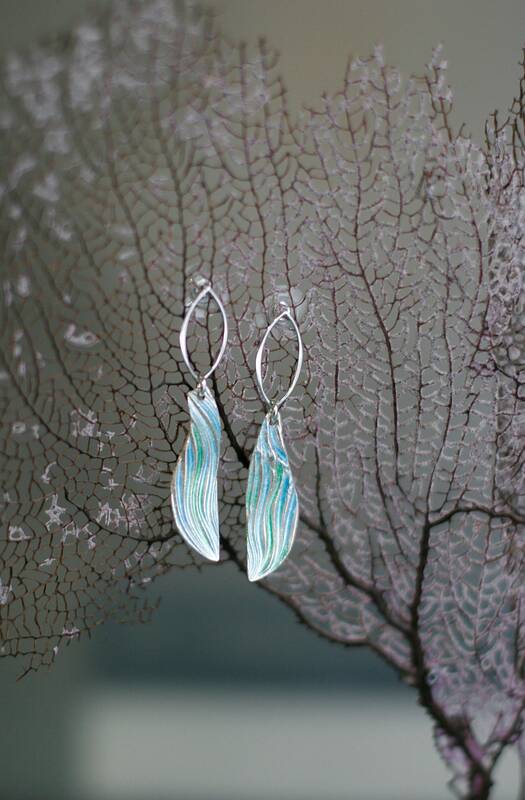 In combination with these faintly iridescent enamels that take their colors from under the sea, the wave texture of these earrings acts to separate the colors with bright silver stripes. 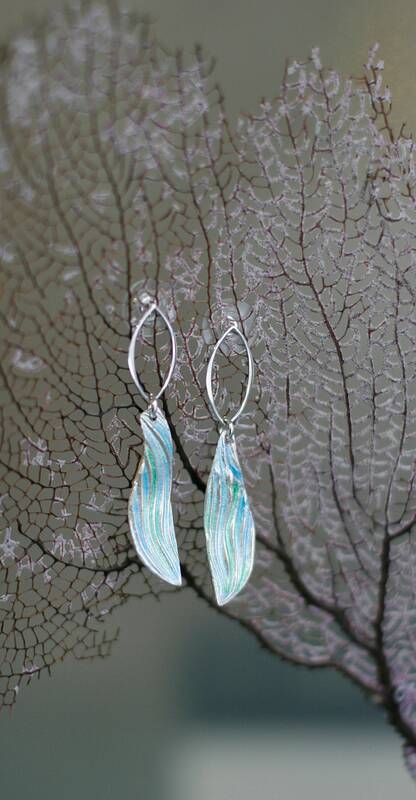 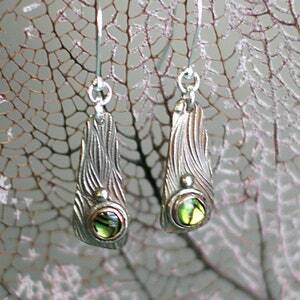 The enameled portion is connected to open and airy sterling silver marquis posts.